Guests attending Saturday’s celebration between 10am-3pm, are eligible to play the “Spin to Win” for their chance to win over $15,000 in prize give-a-ways. Highlighted prizes include a 70” Smart TV, and room groups valued between $1,000 and $2,000! In addition, children have the opportunity to participate in the HomeStore’s Gen-Now youth lifestyle area which will feature face painting and an interactive balloon animal station. 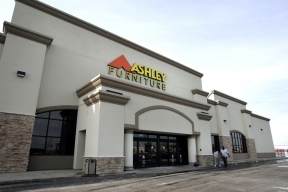 The opening of this new location in Merrillville marks Ashley Furniture’s 11th HomeStore in the state of Indiana and 624th HomeStore worldwide.